Do you remember the game Where in the World is Carmen San Diego? Well today we get a play a new game. Where in the Marvel Universe is Agent Simmons? I love astronomy and I love Marvel so over the years I have worked very hard researching and categorizing Marvel galaxies and planets so this task is right up my alley. There are a huge number of planets that Simmons could be on but lets look at a few likely candidates. It looks like we may know soon where Simmons went and perhaps more importantly now. Why she wants to go back. “4,722 Hours” – After her dramatic rescue from another planet, Simmons is still reeling from her ordeal and reveals how she had to fight for her life in a harsh new world, on “Marvel’s Agents of S.H.I.E.L.D.,” TUESDAY, OCTOBER 27 (9:00-10:00 p.m., ET) on the ABC Television Network. 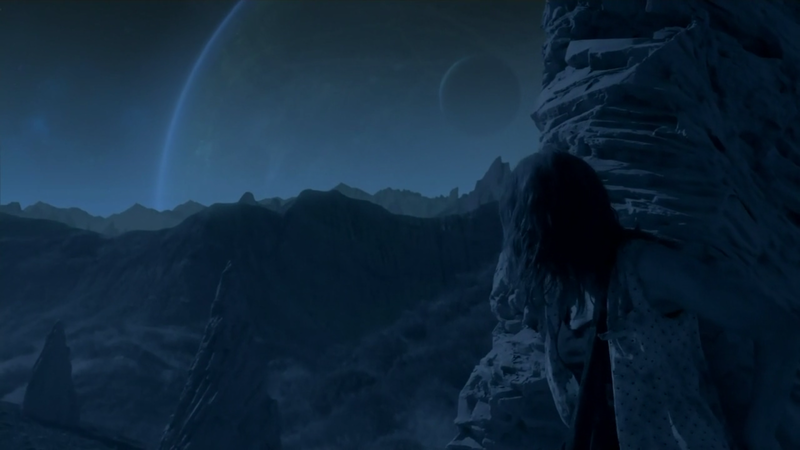 If I am right on WHO the Kree Monolith is then he sent Simmons to this place for a purpose. What Purpose? Now that is a really interesting question. 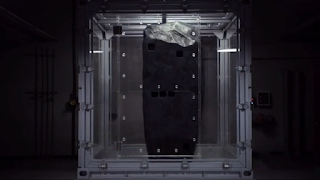 What is Or WHO IS the Kree Monolith? In the Galaxies there are a few areas they could go and some that are are basically off limits because they are owned by Fox. The Shi'Ar galaxy for example is pretty much owned by Fox so we can exclude that. The Milky Way galaxy is our own galaxy and I just don't think she is there. 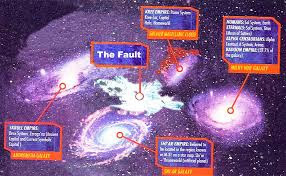 The Andromeda galaxy is where the Guardians of the Galaxy film took place but its mostly controlled by the Skrulls who are owned by Fox. The main aliens introduced so far in Agents of SHIELD and Guardians of the Galaxy are the Kree. The Inhumans who are heavily used in the show are also a Kree creation. So to me the most likely place she is somewhere within the Kree Empire located in the Greater Magellanic Cloud Galaxy. This is my best guess. The Dark Elfs originate from one of the nine realms called Svartalfheim. Potentially, the stone has a connection to the dark realm and sent Simmons there. This would be an interesting way of bringing back the Dark Elves who could have a connection to Ragnarok. Evidence of this: The place where Simmons is does appear to be dark like Svartalfheim. Looking at pictures of Svartalfheim in Thor 2 it looks remarkably similar to the planet that Simmons is shown to be on. Also an Asgardian will be in Episode 2. Located in the burning galaxy Korbin could help weave some Thor elements into Agents of SHIELD. Many of the aliens in Guardians of the Galaxy were Korbinites who come from Korbin. They were the bald orange skinned people. Its possible that Agents of SHIELD could weave together the demon of Surtur and the Korbinite story here as part of a tie in to Thor Ragnarok. There is not a ton of evidence of this other than Fitz is going to ask an Asgardian for help in Episode 2. Keep in mind though that the Asgard have a good handle on the whole universe so that really means very little. Counter Evidence: The planet Simmons is on looks nothing like the Burning galaxy. I have seen this rumor out there a lot. There is a planet where Spider-Man's and Venom's black alien suite originated from. There are some license issues here though in that its a Spider-Man based planet so Marvel would need to deal with SONY to add this in. SONY and Marvel are working together now, but I'm not sure if they would deal this card out for a TV show. It still is a very interesting theory that could be used to add in a new alien species and a tie into Spider-Man in the show. Maybe the stone is actually a magical item and ties into the Doctor Strange world. What a great way to help pave the way for the Doctor Strange world than to begin to create the Dark Dimension. This is the Dimension rules by Doctor Strange foe Dormammu. Dormammu and the Dark Dimension! This itself could be interesting story wise because it could actually tie Agents of SHIELD into Guardians of the Galaxy, the infinity gem mythos as well as Kymellians.